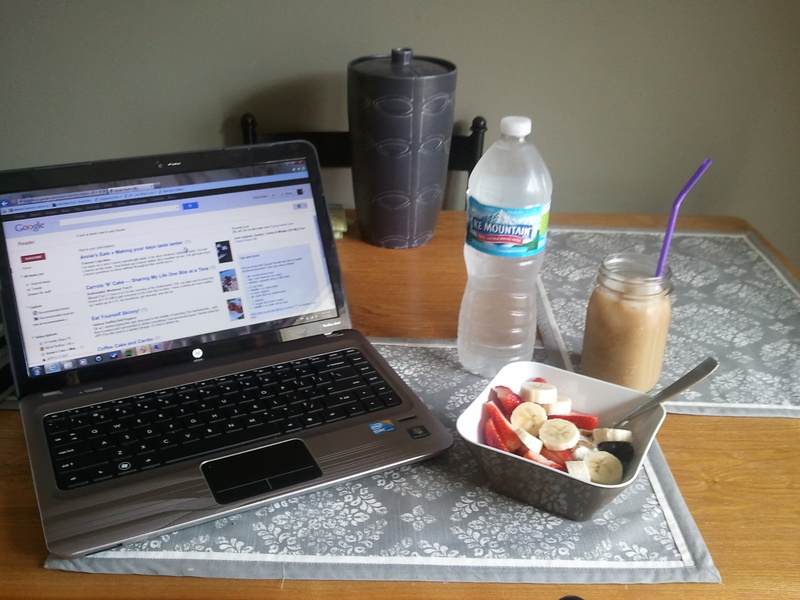 I thought July was Sensible Snacking month for What I Ate Wednesday. As it turns out, that was for June. July is all about fitness. Surprisingly enough, my day yesterday kinda falls into both categories. This is really unheard of for me. Sensible snacking AND fitness in one day? Who am I?? I had a fairly productive day yesterday, even if I did spend more time on the computer than I should have. I was up at 8am and got our dying lawn watered before it got too hot outside. Fielder was suuuuper bored during this (we water the front yard by hand because there really isn’t a convenient place to place a sprinkler without wasting a bunch of water) so we took off for a 2 mile walk after the watering session. I had a big bowl of Chobani 0% Honey with strawberries, blueberries, 1/2 a banana & some crushed Wheat Chex cereal for breakfast. Along with an iced coffee & a bottle of water, I got all caught up on my Google Reader subscriptions. I got a few loads of laundry completed. 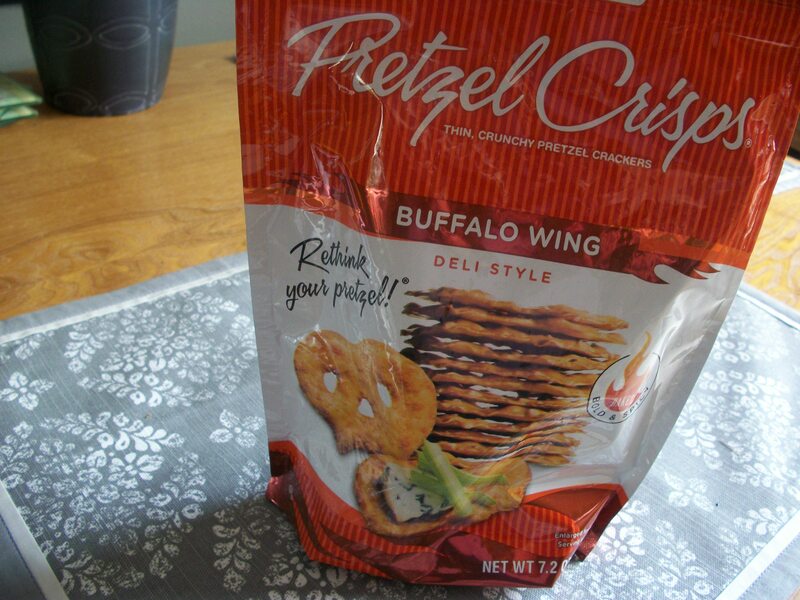 Had a handful of pretzel crisps. And impulsively licked washed every last bit of yummy buffalo sauce tasting powder off of my hands afterward. Picked up around the house. 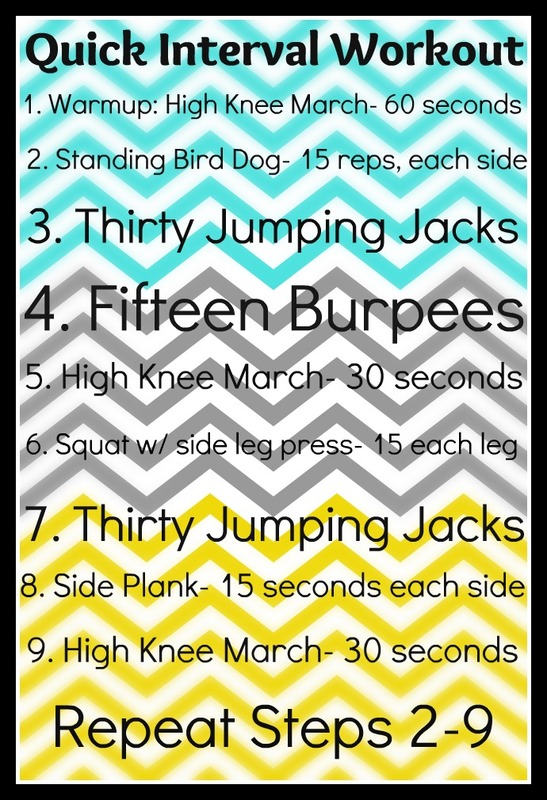 Took the time to prepare & perform a quick core-strengthening interval workout. Got some future blogs prepped. Made lunch, which was a recipe fail. 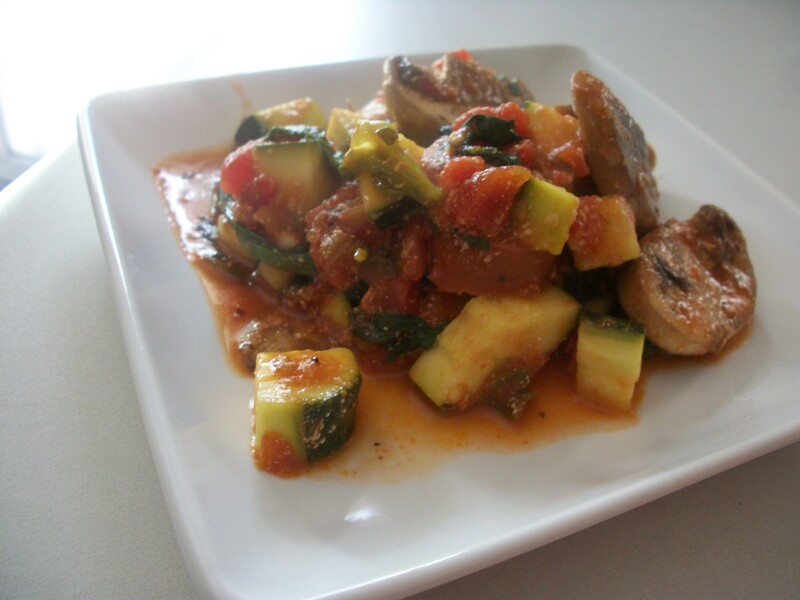 Still edible, but watery & kinda ugly so I’ll need to tweak it & maybe share later. Another quick snack before work. 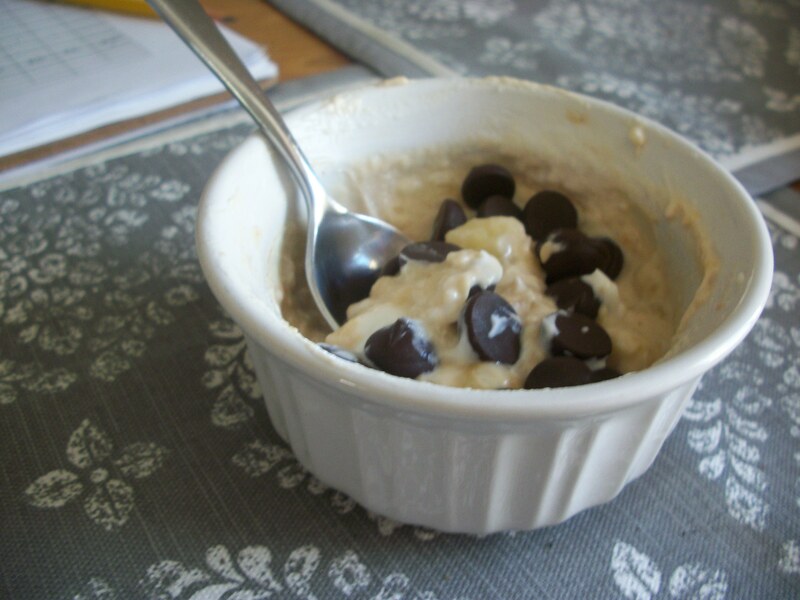 Half of a banana mashed with plain Chobani & peanut butter, topped with a few dark chocolate chips. I worked from 5:30 until about 11:00 & had a little hummus snack as my dinner towards the end of my shift. 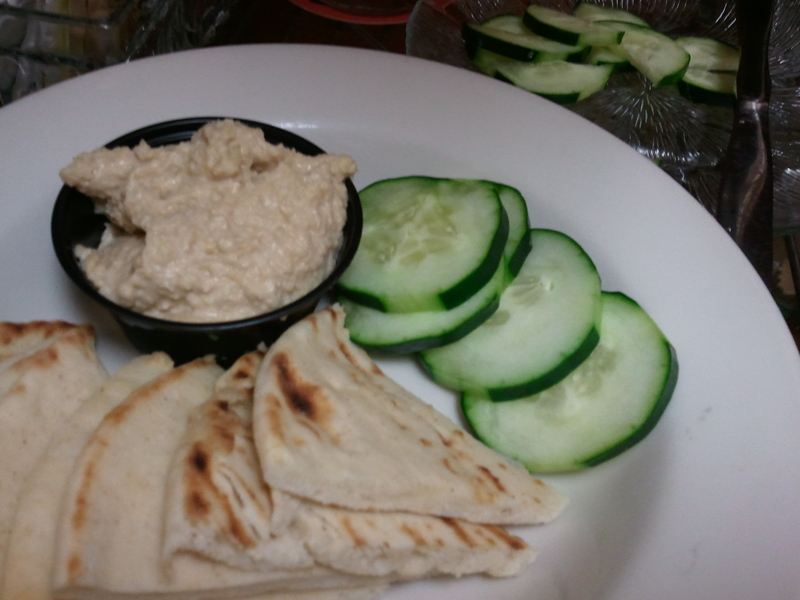 I hate eating so late but sometimes I just gotta have my hummus! I’m out of granola, hence the Wheat Chex on my yogurt. How does that happen?! I really REALLY wish I could get Love Grown around here. I honestly think that’s why I haven’t purchased any granola lately. I keep thinking that the next time I walk into the store, Love Grown will be there. At any rate, I’ve been improvising with my crunchy yogurt topping these days (I HAVE to have something crunchy in it). Wheat Chex yesterday, graham crackers today! P.S. I know I’ve heard you can order Love Grown online but it just doesn’t seem the same to me. Plus, once I start online shopping, I can’t stop so it’s something I don’t do often. One minute I’ll be ordering Love Grown, the next I’ll be purchasing a plane ticket to go tour their facility! What do you do when you run out of one of your daily essentials? Run out & replace it right away or improvise until you can restock? We live within a few blocks of a grocery store & less than 2 miles from Target. Virtually anything I need can be found at either place. Generally I’ll just run & pick up whatever I need as soon as I run out. But lately I’ve been holding out a bit. I feel like less goes to waste this way. Normally I wouldn’t even touch the box of graham crackers (mostly because like online shopping, I can’t start once I stop) but being sans granola got me searching through the cupboards & it felt like a good fit. I’m nearly out of both my face wash & face lotion but rather than running right out to buy more, I’m using every last drop of what’s left in the bottle. Otherwise, I’d just throw the old away as soon as I picked up the new. Maybe the start of year 2 of marriage has me thinking more frugally? Eh, probably not! Total improviser. And we just moved farther away from a grocery store. We used to be super close. Boooo!!!! So hopefully that will teach me to plan better, right?